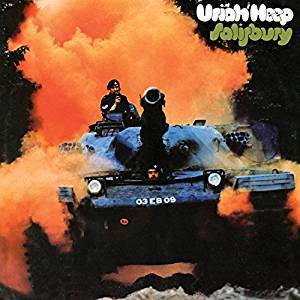 The Re-Release of the Uriah Heep back katalog has stopped. Even Ken Hensley Ex-Main Man of the foundation legend of Hard Rock wasn’t able to tell the time table of the upcoming releases. But he told Norbert something about the first rerealeses, his relationship to the Uriah Heep of today and the best of Album Your Turn to remember that has been released as a starter’s gun for the rerelease series. And in some moments it became obvious – Ken isn’t running for a job in the diplomatic staff. Ken Hensley: It was a BMG idea, to sort of commemorate their acquisition of the catalogue. The fact that we had some personal involvement (rather than it all being left to outsiders) is what makes the difference. MAS: The remaster versions of the five albums already released have each been accompanied by a second “alternative” version of the albums, including besides bonus tracks all album tracks in different versions. Will this be the structure of all of the upcoming releases? Ken Hensley: I believe so, yes. MAS: Why are the alternative versions are given in a different running order compared to the original albums? Ken Hensley: No idea ... sorry! Ken Hensley: Mick (Mick Box, guitar – the only founding member who is still with Heep; NvF) and I had some input on this. Honestly, with such a huge catalogue, something was always going to be left out! MAS: You named the compilation `Your Turn to remember´. Didn’t you think about including the very song that gave its name for the album? It always have been one of my favourites from `Return to Fantasy´. Ken Hensley: I was not involved in that decision. In fact, at the very beginning, it seemed I would be very much involved in all of these re-issues, but I just got so busy that Mick and others took that responsibility. MAS: Heep has been one of four extraordinary innovative bands who brought Hard and Heavy Rock into the world. I know that the band had lost a great number of old fans in the “Pop area” around `Innocent Victim´ and `Fallen Angel´. Maybe that’s a reason why today often only the three of Led Zep, Sabbath and Purple are named as the founding fathers of Hard Rock – and why Purple and Sabbath are playing big arenas while Heep is playing the clubs. You and Mick wrote new liner notes for `Your Turn to remember´. Where you talked about the two songs from `Innocent Victim´ one can read your commentary: „Heep were not at their best Form“. This fits in with the very short mentioning of this time with John Lawton. His name isn’t even mentioned one single time in the liners notes. Is that an intentional alienation from an area at whose end Heep was so down like never before (and after) in the band’s history? Ken Hensley: Actually, after David (David Byron, voc from 1969 through 1976; NvF), we drifted away from the musical formulae that had helped identify the band and for it to take its place in rock & roll history! In the glory days, I would bring a song to the band and the band would just take it and make it a Heep song. My songs are often more poppy so the band´s amazing rock influence took the songs away from that. After David, this was not happening and no-one else was writing anything so, with the chemistry that David and Gary (Gary Thain, bass, 1972-1975; NvF) had been a big part of, the band wandered off into a generally unidentified direction. „Free me” was and always will be a pop song but it still became a huge hit and won the band many awards. Opinions can´t change facts! MAS: What are your feelings to deal so intense with this band that now runs nearly 40 years without you? Ken Hensley: Don´t have any particular feelings about this. Mick is the only original member left so, for me, it will never be Heep. I am lucky in that most of the songs are mine and, separated from the ¨duties¨ that go with using the name, I can carry the wonderful history without having one foot stuck in the past! 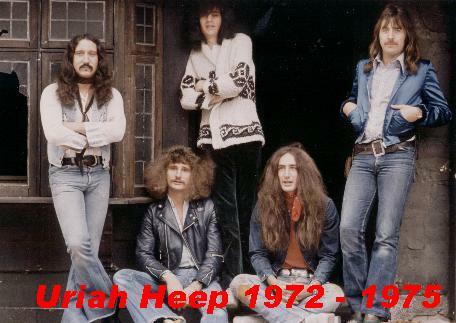 MAS: What do you think about the recent Uriah Heep of the last 10 years since Lee (Lee Kerslake, dr, 1971-1979 and 1982-2008; NvF) and then Trevor (Trevor Bolder, bass, 1976-1980 and 1983-2013; NvF) had left? Ken Hensley: No comment really. Trevor´s is a sad and tragic story and I am hoping and praying for Lee every day! MAS: It is by accident that I got me a CD of Yes’ `Time and a Word´ on a Flew Market in Hannover and a vinyl copy of the US-issue of `Look at yourself´ on a Flew Market in New York nearly at the same time. I hadn’t heard `Time and a Word´ ever before. So I was very surprised when I heard a lot of Keyboard sounds that are very similar to some parts of `Look at Yourself´. 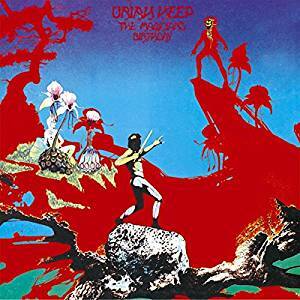 Has `Time and a Word´ been an influence for the most experimental record Heep has ever made? Ken Hensley: Never heard of it or heard it .... sorry! MAS: Something about the image of Heep. If you look at the artwork of `Very eavy´, `Salisbury´ or `High and mighty´ you see very martial and morbid pictures. How does this fit in with peace lyrics like „Lady in Black”, „Pilgrim” or „Come away Melinda”? Ken Hensley: It doesn´t!! Those covers were crap! MAS: Did you ever got a problem with the band name chosen from a slimy bad minded character established by Charles Dickens? Ken Hensley: No ... it was our manager´s idea!! Go figure! MAS: Quite another atmosphere is given by the Roger Dean covers. In the booklet of `Demons and Wizards´ you mention that you have been strongly influenced by Tolkien in these days. Was that only by the Auenland or the Elben? What about the influence of Mordor? Ken Hensley: Don´t get tricky my friend. I read the books, I didn´t study or memorise them, I just absorbed some of the amazing imagery and let my imagination play with it. MAS: How did you get in contact Roger Dean? Was he – at that time –still just one artist beside other ones, or already the iconic character he became by his work for Heep, Yes and other bands? 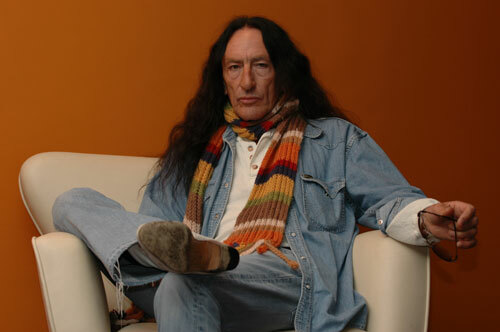 Ken Hensley: It was our manager who made first contact and I liked what he did a lot on `Demons & Wizards´. The cover for `The Magician´s Birthday´ was really a poor imitation and that was probably influenced by the record company at the time. MAS: You are very hard in your judgement about `The Magicians Birthday´. I have been very surprised by that – not only because I am not able to follow you in this judgement. In my eyes `The Magicians Birthday´ has always been a record between `Demons and Wizards´ and your first two solo records, which tends a little bit into the Folk/Songwriter genre. Why are you so harsh? Have there been great Ideas for `The Magicians Birthday´ you couldn’t develop? Ken Hensley: Exactly! I was writing a short story that would have been the core of the album, with all the songs spinning off from that central theme. The record company accelerated the release date, brought the recording session forward and I never had a chance to finish the story. My feelings are solely based on the fact that I know the album could have been so much better! Since the re-release of `Magician’s Birthday´ in march last year nearly a year has passed. Why such a long break? And can you tell something about the schedule for the ongoing release? Ken Hensley: I am really sorry but I don´t know the answer to this! MAS: How long will you be involved in the rerelease program – until `Conquest´? Ken Hensley: Presumably! Can´t see why I would be involved beyond that!! MAS: I thank you for the answers.